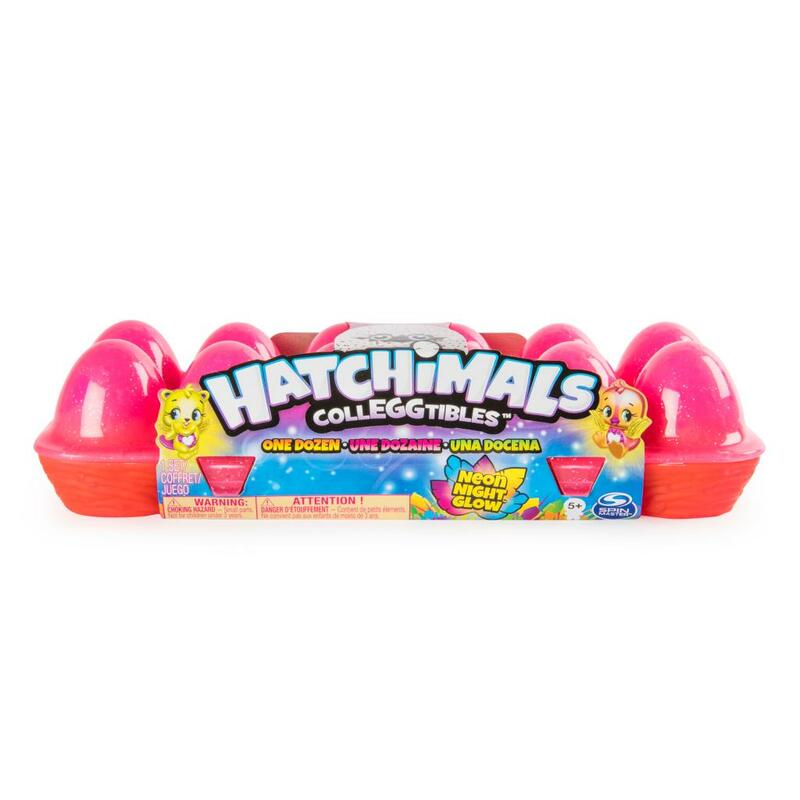 Glow on the go with the Hatchimals CollEGGtibles Neon Nightglow 12-Pack Egg Carton, available exclusively on Amazon! Filled with all-new Season 4 characters, these little cuties are neon-colored and glow in the dark! 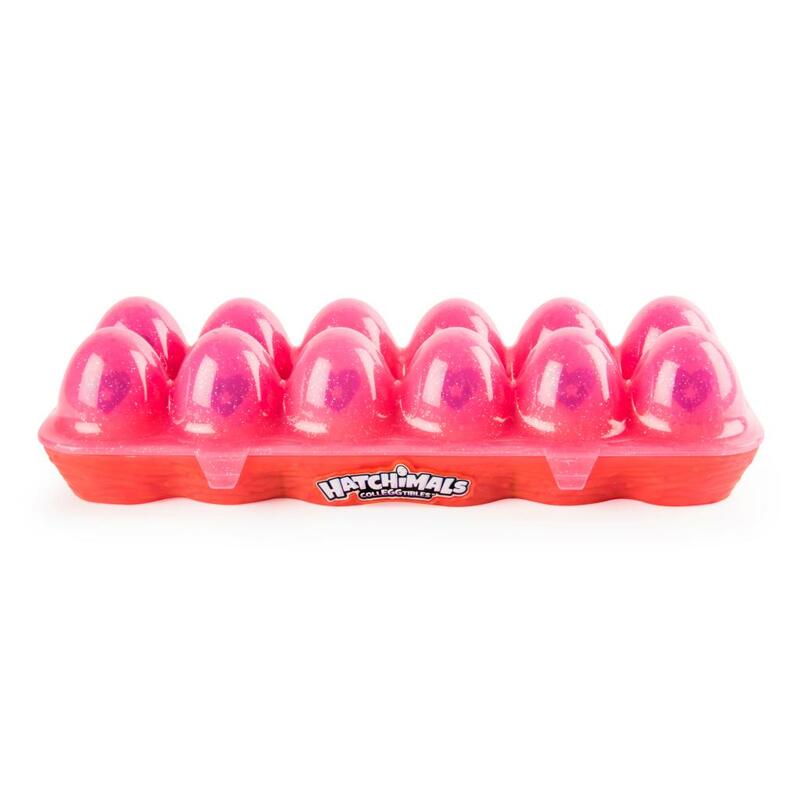 To light up your world, lift the star-covered lid and you’ll find twelve orange and pink ombre eggs! 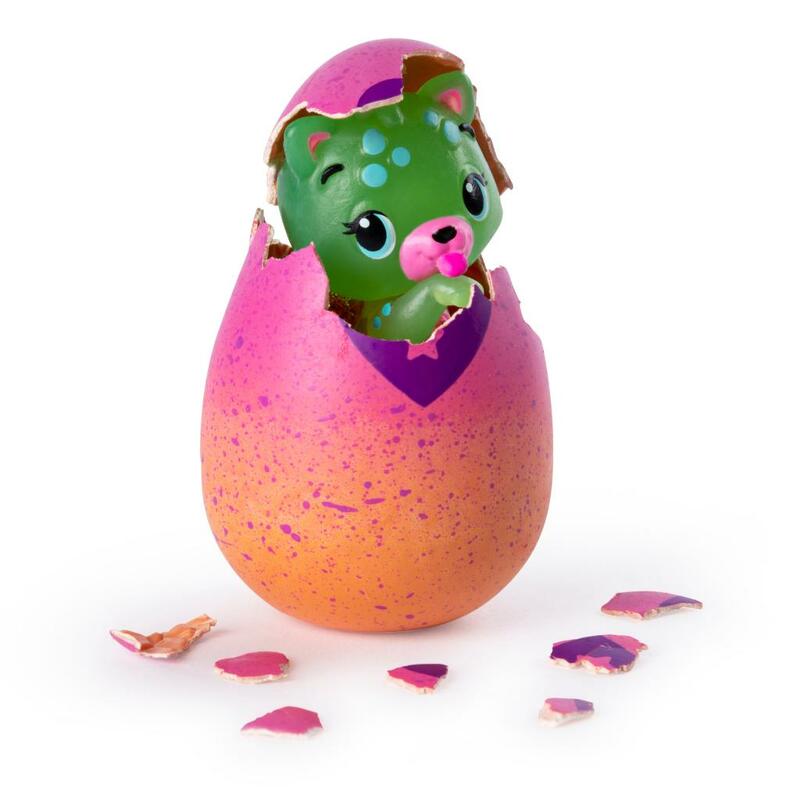 Using your love and care, hatch these new characters! 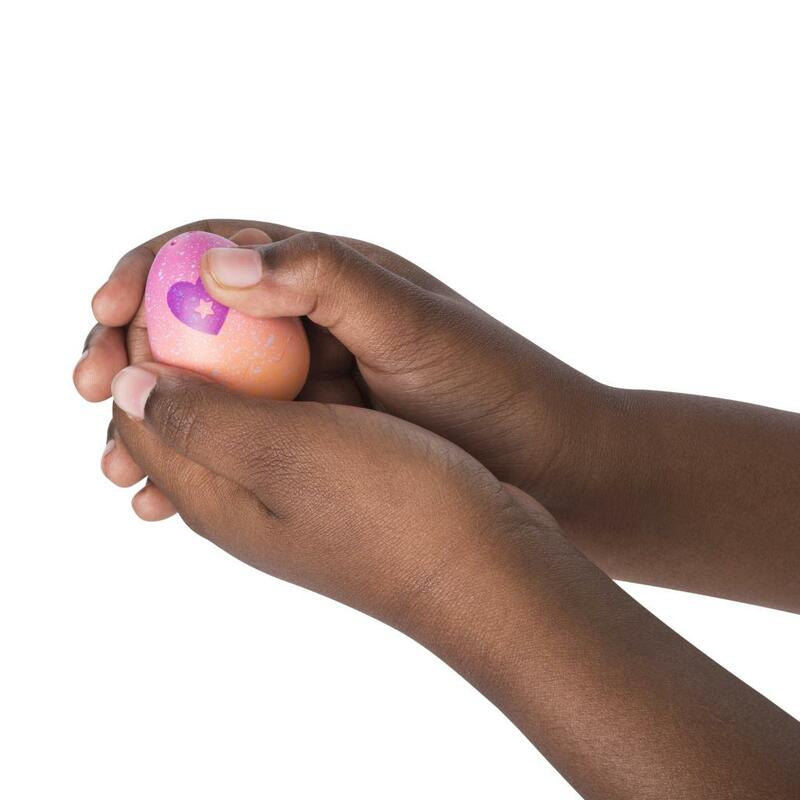 Put one egg in the palm of your hand and rub the purple heart until it turns pink! 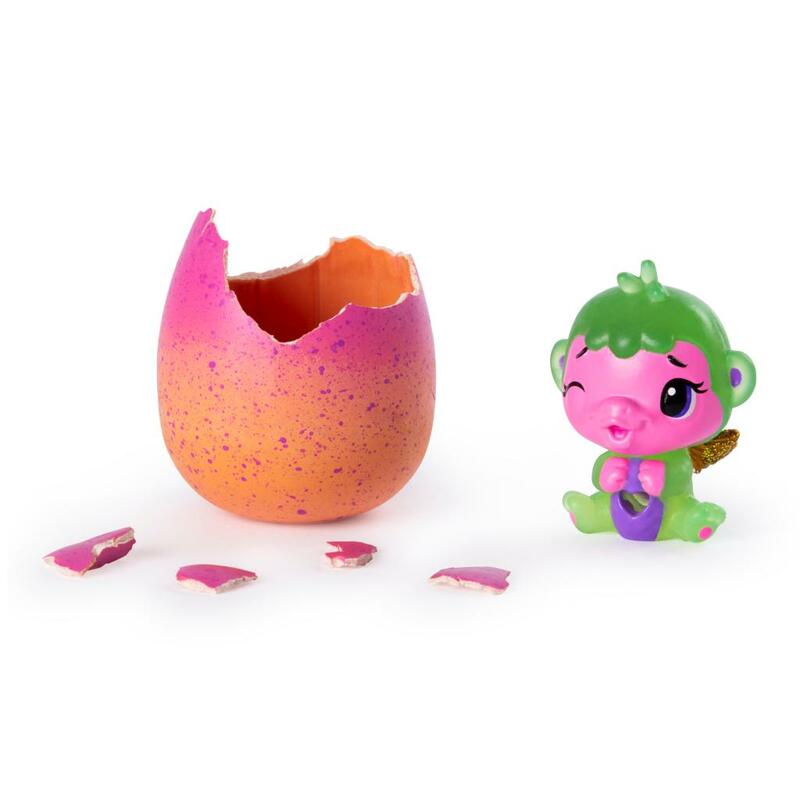 Gently press down to crack the shell and meet your Hatchimals! Place them on a light to see them shine bright! 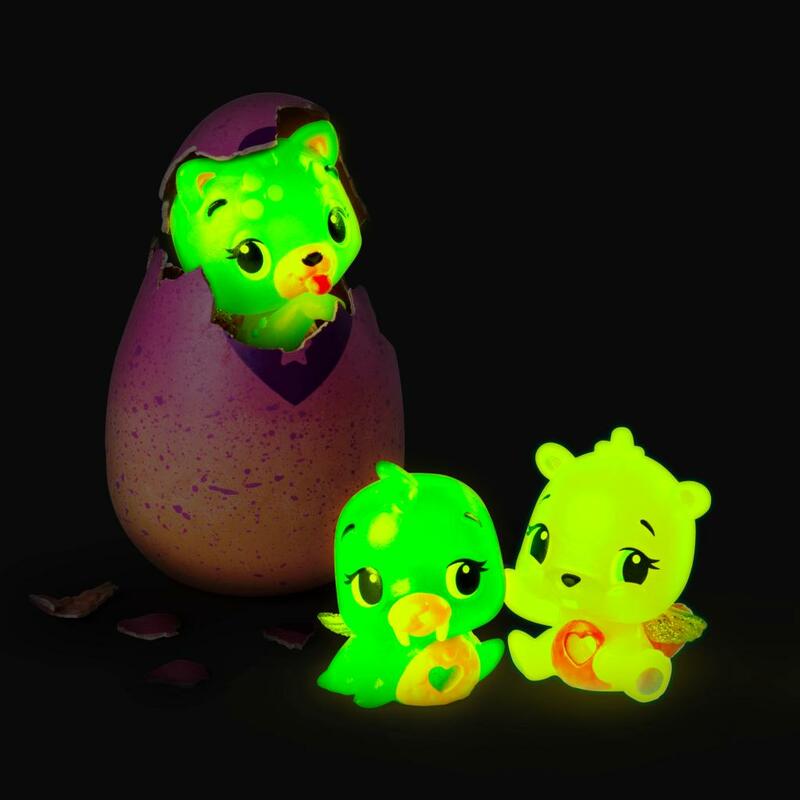 These colorful Hatchimals look even more adorable as they glow! Once you’ve hatched all your new friends, keep them snuggly inside the egg carton. While the lid has pretty stars, the bottom of your egg carton has cozy molded nests – a perfect home for all your Hatchimals! Glow on the go with the Neon Nightglow 12-Pack Egg Carton, available only on Amazon! COLLECT GLOW-IN-THE-DARK CHARACTERS: Add Neon Nightglow characters to your collEGGtion! This 12-Pack Egg Carton has adorable Season 4 cuties with vibrant neon colors! Place them on a light to see them shine bright! GLOW ON THE GO: This exclusive egg carton comes with a starry lid and a base filled with 12-molded nests. 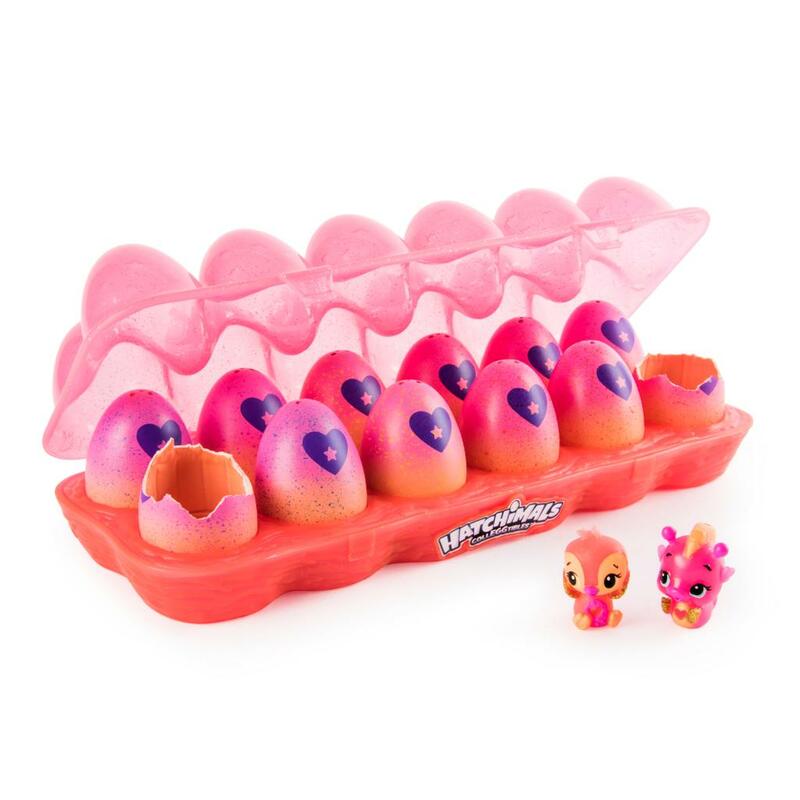 Keep your in-egg and out-of-egg Hatchimals cozy inside and take them with you, wherever you glow! 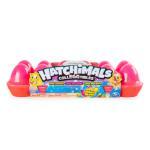 Hatchimals CollEGGtibles 12-Pack Neon Nightglow Egg Carton is a great gift for kids aged 5+. 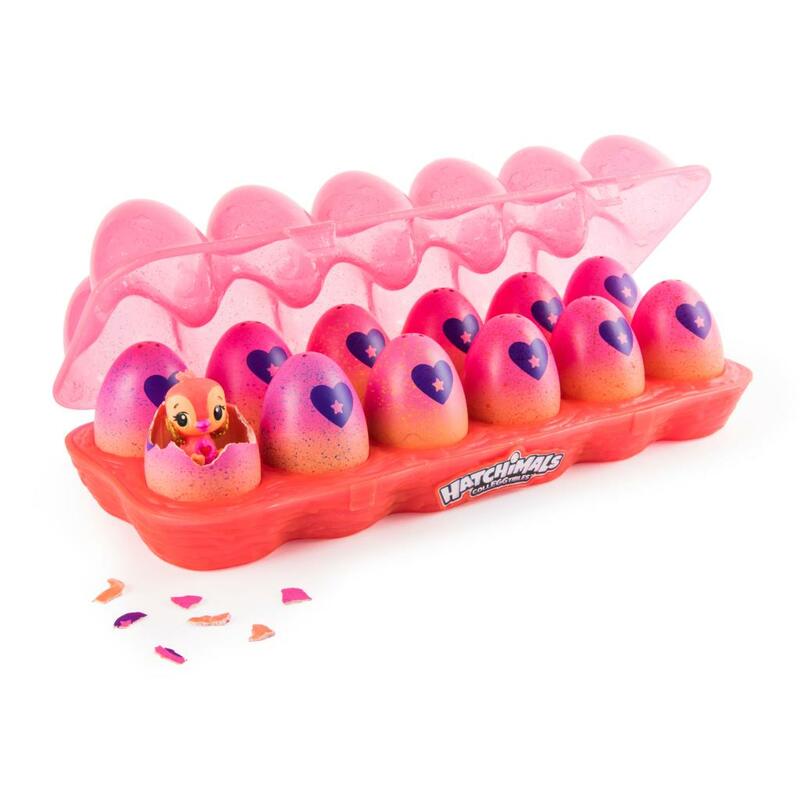 Combine with the Hatchy Home Light-up Nest playset (not included) to show how your Hatchimals shine!